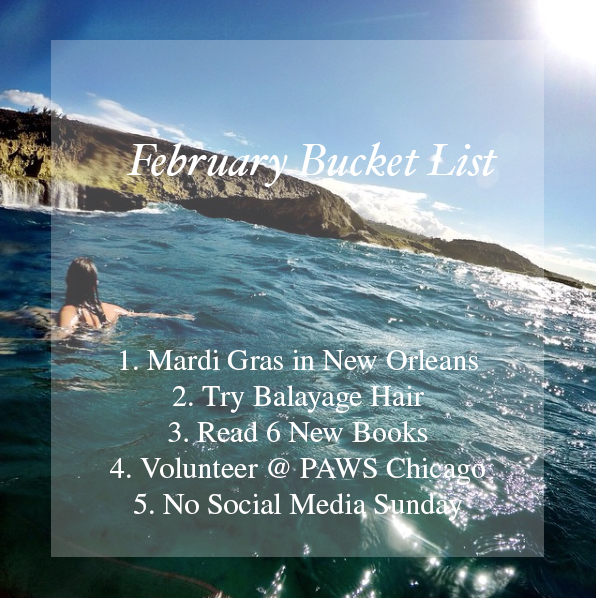 January Bucket List Recap + February Challenge! 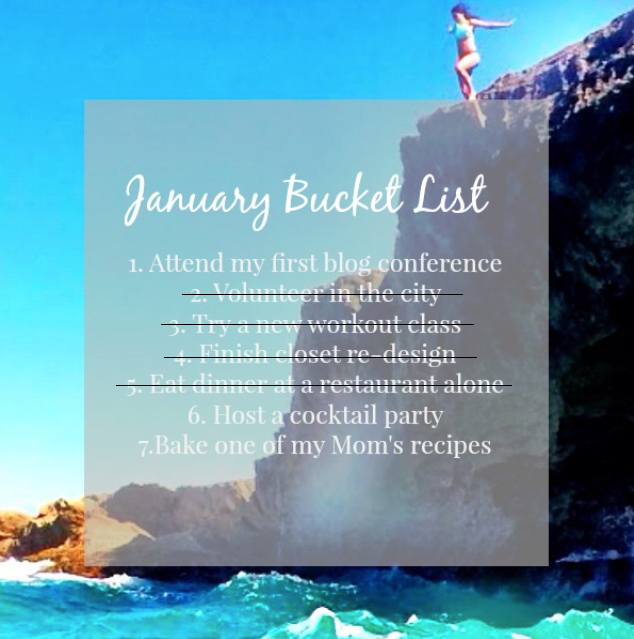 I was really excited about January’s list – probably a little too excited – and I think I underestimated a couple of things…such as not wanting to spend money this month, the amount of time I would be putting into getting back in shape after the holidays, and most importantly the amount of time I would be sick and sleeping away the weekends in bed! That being said, I still accomplished more than half of my list, and I’m really happy about that! The one I am most disappointed about is not trying to bake one of my Mom’s recipes – yet! I’ve tried to be super healthy this month and somehow cream cake just didn’t make the grocery list, but I’m going to re-add this one for February because it’s really important to me! 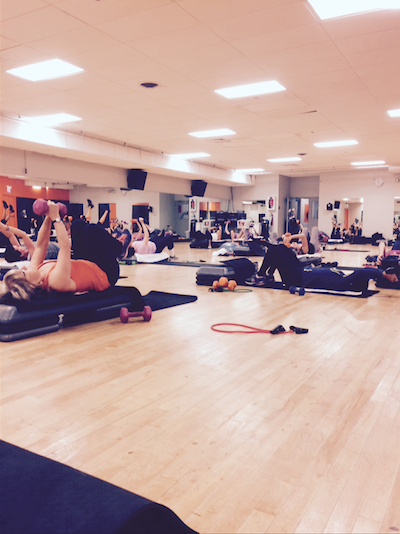 I ended up trying multiple new workout classes – but I only ended up loving one – and it is now a part of my weekly routine! The closet re-design is what I am most excited about, but it deserves its own special post later this week! Special shoutout to my good friend Meredith for testing out some of these questionable workout classes bright and early on those 1 degree Sunday mornings! Which brings me to this month’s new set of challenges! We went to Mardi Gras last year on a super spontaneous and last-minute road trip, but this year we planned ahead and a group of my best friends are going down there for FIVE days, including Fat Tuesday! It’s sure to be madness, but I can’t wait. Keep an eye out for the recap! What new things did you try this month?? Be an Unforgettable Summer Party Guest! Wow Meredith sounds like a great friend for going out in the Chicago weather!